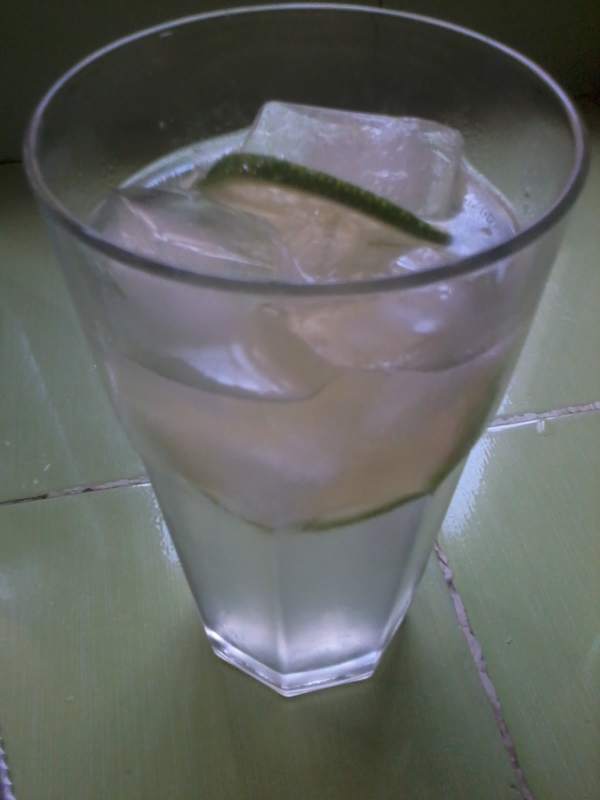 When life gives you citrons verts, make limeade! 1. It’s really, really hot. 2. 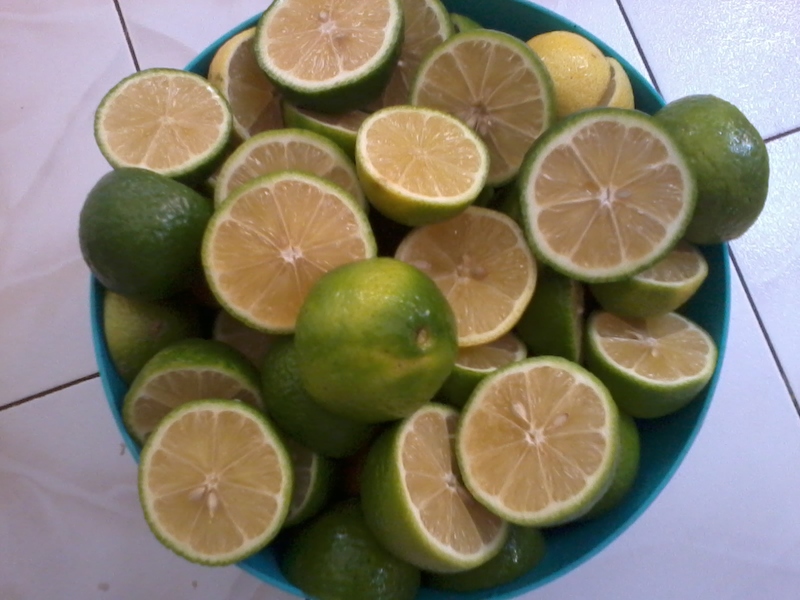 Limes are cheap this time of year (I pay 500 cfa/kilo) and very juicy. These factors combined make it a great time for fresh limeade. I usually buy at least a kilo of limes at a time, which has made me quite famous in the market since locals only by them by the handful. A kilo will yield up to 3 cups of juice before straining. Wash the outside of the limes well, even though you are only using the inside, because whatever is on the outside will inevitably get into the juice. Press down on the limes with your palm and roll them around the counter a bit to make juicing easier. I’ve also heard that microwaving them or soaking them in hot water helps. 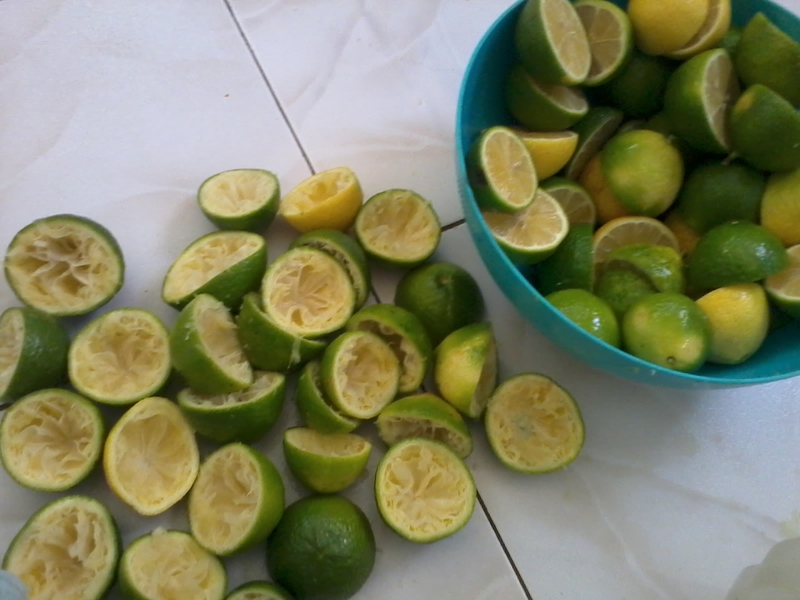 Cut all the limes in half (or save one for garnishing) and squeeze the juice out with a citrus juicer or just by hand. (Great time to get your janq / bonne / house-helper to help). We like ours pulpy so I just strain it through a regular colander which gets the seeds out, but lets most of the pulp pass through. If you want it pulp free, strain through a fine sieve. I freeze the juice by the cup in ziploc bags or plastic containers. I have found that 2 cups sugar is just right for most Americans. 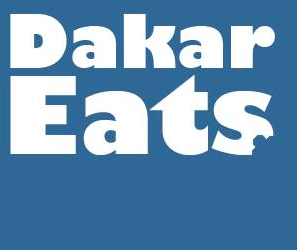 If you are serving to Senegalese friends you should use at least 3 cups of sugar to the gallon. Stir and enjoy! Lime slushies – Our favorite! Fill a 2-qt blender pitcher with ice. Pour in 1/2 cup of lime juice, 1 cup sugar and water to the halfway mark. Blend and enjoy icy cold lime slushies! This post came from my friend Val. Her kitchen is famous and her recipes are highly sought after. Do you have a recipe to share? Email us! Previous Ready, set… give thanks! Next Shady Shack at Ebbets Field tomorrow! That syrup recipe works to make syrups for flavored coffee drinks. I bought coconut flavoring, vanilla flavoring and caramel flavoring. Use about 1/4 cup of flavoring (depending on your taste and the potency), 3/4 cups water, and sugar. I use only 1 cup of sugar. This is a recipe you can completely customize.